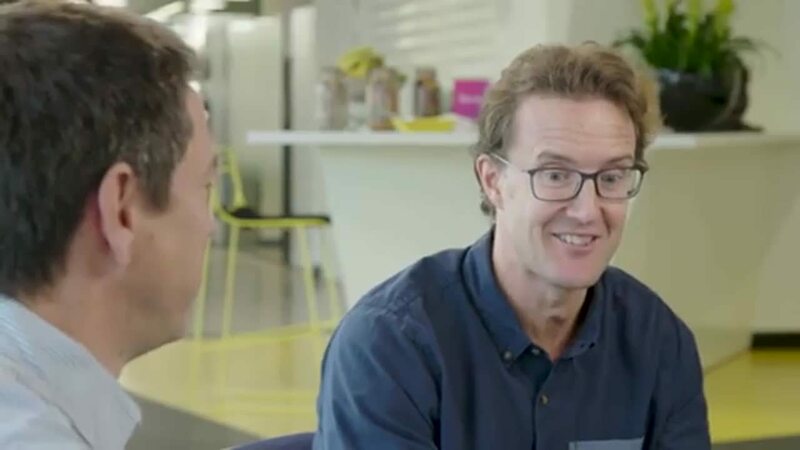 To get a real understanding of Octopus and the way we do business, it’s worth finding out more about our co-founders Chris Hulatt and Simon Rogerson. When I first met Chris, I knew instantly he was the smartest man in the room. That's why we set up a business together. In 1997, Simon Rogerson and Chris Hulatt met on the graduate training programme of an investment company called Mercury. From the beginning, they felt like outsiders. Chris recalls: “We could see investors being ignored or taken advantage of, and we knew there was a better way to do things”. They left to set up Octopus Investments in 2000, originally working out of Chris’s front room. They rented a tiny office above a shop in London, and began trying to raise the funds needed to build the business. Why call ourselves Octopus? We wanted a name that even cynics would remember. In the early years, Chris and Simon spent their life savings keeping the business afloat. Simon sold his flat to buy the car they needed for meeting potential investors. But all of their hard work eventually paid off. Over time, their approach started to win support. Chris remembers when they heard from their first-ever customer: “We called him up to say thank you. He wasn’t expecting that, but we still think about how we can show our appreciation to every single one of our customers”. Since 2014, Simon and Chris have helped grow the Octopus Group, by entering markets where change is most needed. Today Octopus focuses on the areas that matter most to people, like investments, healthcare, renewable energy and property. Today’s Octopus is a vastly different organisation than it was when it started. Simon explains: “A few years ago, we realised that we had built something that could genuinely change the lives of millions of people.” But the customer-first attitude that started with Simon and Chris remains the same. Octopus has always been shaped by the determination to do things better, so there are no limits to where we are headed. © 2019 Octopus Group. All rights reserved.